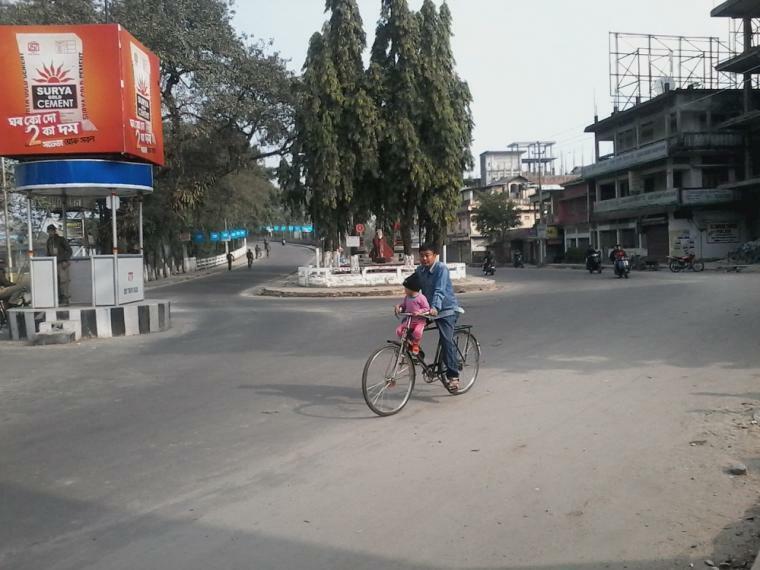 A 12-hour bandh called by several organisations hit normal life in Central Assam today. The bandh was called to press their demands for setting up AIIMS at Raha and a judicial inquiry into the death of a person in clashes between police and protesters there three days back. Shops and business establishments, educational institutions, banks and private offices remained closed in Morigaon district and parts of Nagaon and Kamrup (East) districts in response to the bandh from 5 AM called by the All Tiwa Students Union (ATSU) and three other organisations in support of their demands. National Highway-37 was blocked by protesters at several places, while vehicles remained off the roads in the affected areas, officials said. Morigaon Superintendent of Police Nilesh Savarkare told PTI that paramilitary forces were deployed in vulnerable places like Jagiroad, Dharamtul and Ahotguri to maintain law and order. Security was tightened at Jagiroad for the smooth movement of trains, the SP added.